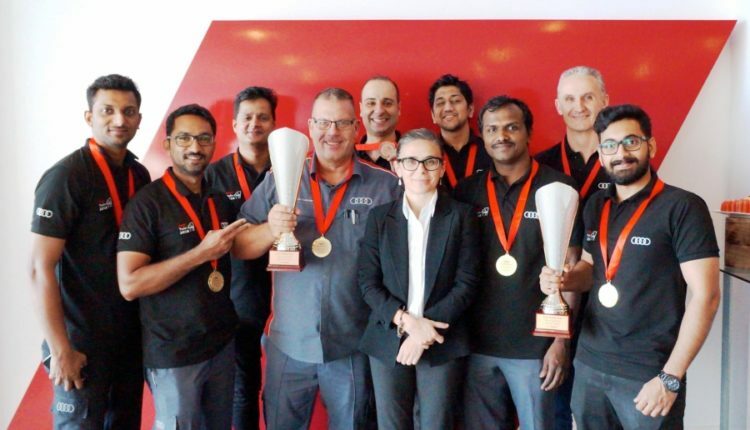 On October 26th 2018, Audi concluded its first-ever regional After Sales competition “The Audi Twin Cup Challenge” for the Technical and Service Advisor teams from all Audi Service Centres throughout the Middle East and the Levant. This competition pitted the skills and knowledge of the five most successful teams from the region in both Service and Technical categories, with the aim to identify the top 3 best performing teams overall. 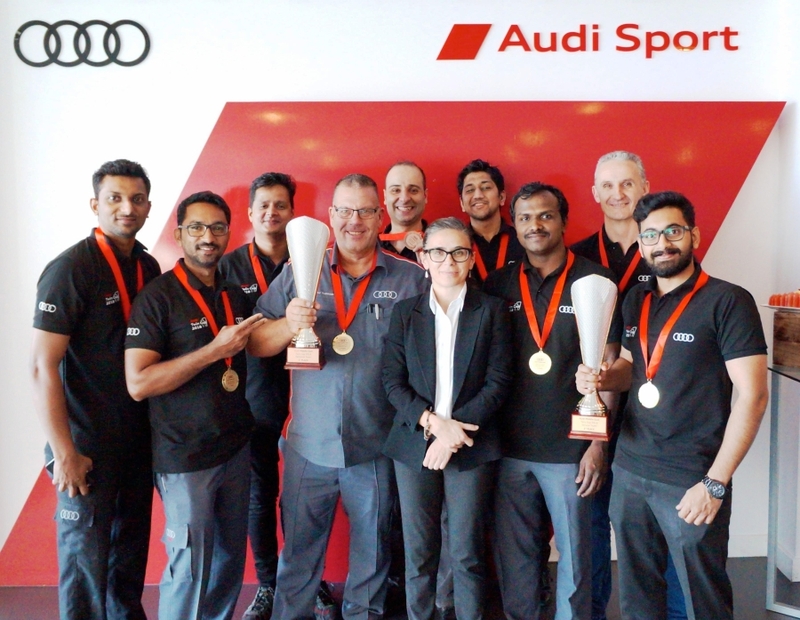 The ten finalist teams (5 technical and five service teams) were selected from a pool of 250 participants from 13 Audi Service Centres in 9 different markets across the region. Participants were subjected to two rounds of rigorous online individual tests and worked in teams to qualify for the regional final. 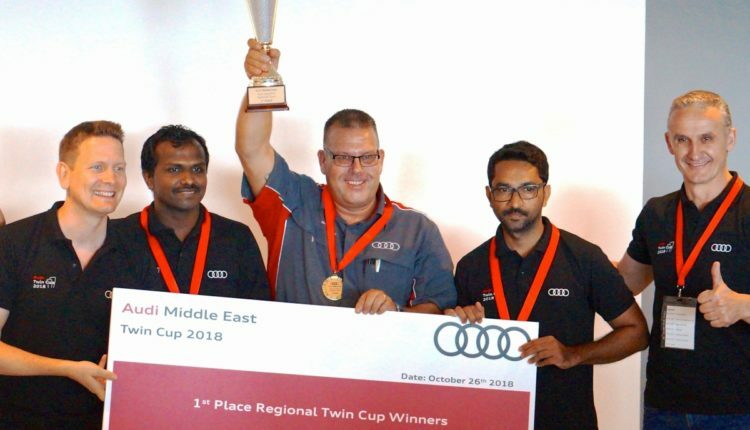 The Audi Twin Cup final was held at the Dubai Autodrome, where the qualified teams were challenged to a full day of activity that tested their theoretical knowledge, hands-on technical ability and customer handling skills according to Audi global standards, as a team and as well as individuals. The winning teams in both the Service and Technical categories were from Audi Service Centre Ali & Sons Abu Dhabi. In the Service category, 2nd and 3rd place were awarded to Audi Al Nabooda Dubai and in the Technical category, 2nd place was awarded to Samaco, Jeddah (KSA) and 3rd place to another team from Ali & Sons, Abu Dhabi. Jeff Stagg, Head of After Sales, Audi Abu Dhabi commented “The Audi Twin Cup has been a great motivator for our technicians and service advisors to prove their capabilities and we have shown this today. This competition shows us how to be better at delivering the best to our customers and we are looking forward to the Global Final to show our skills once more”. 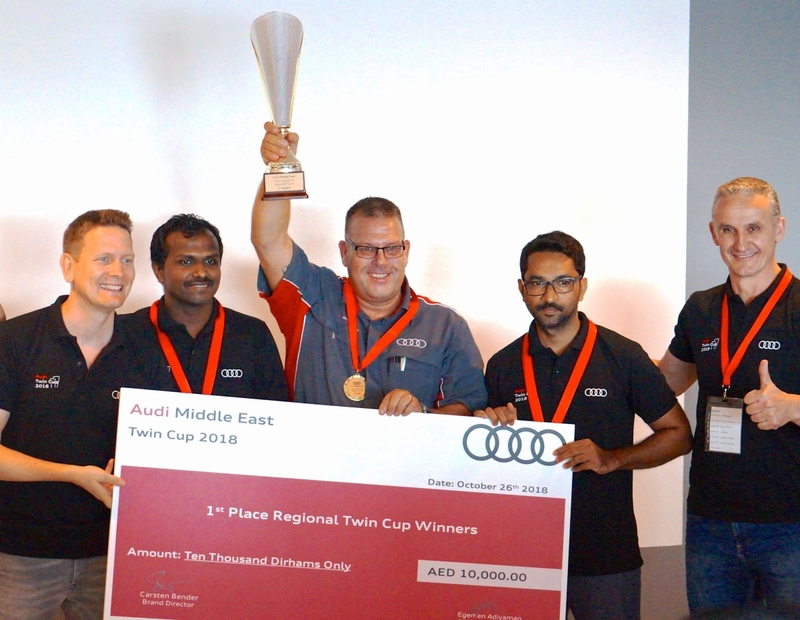 The winning team will now complete further training and guidance to represent the Audi Middle East region in the international final of the Audi Twin Cup in Europe against competitors from over 35 countries in 2019. Trophies were presented to the winning teams by Carsten Bender, Brand Director Audi Middle East and Egemen Adiyaman, After Sales Director Audi Middle East.